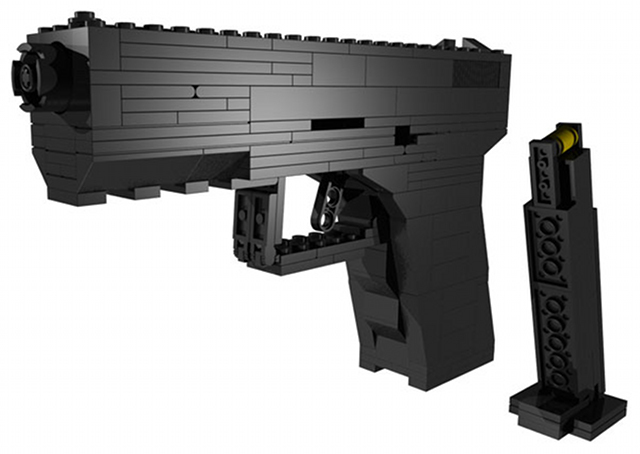 The actual model of Lego gun purchased by Jeremy Bell. Image courtesy of BrickGun. Jeremy Bell bought a Lego replica of a semi-automatic pistol and assembled it, yesterday, in the back office of teehan+lax, a downtown user-experience design firm, where he’s a partner. An hour later, he was up against the stairwell wall, being frisked by police on suspicion of weapons possession. Admittedly, the gun, purchased from BrickGun, an online retailer that specializes in Lego replicas of firearms, looked pretty realistic. Bell thinks someone living in one of the apartments with windows facing teehan+lax’s building, at 460 Richmond Street West, might have called in the tip after seeing him wave around the suspicious chunk of plastic from a distance. Constable Tony Vella of the Toronto Police Service later confirmed to CTV that this was precisely the case. “We have to take all the gun calls seriously because we don’t know what we’re getting involved in,” he told them. The way Bell told the story, both to us over the phone and on his blog, he’d just received the Lego gun kit in the mail on Wednesday and had brought it to work. It sat in its box until the end of the day, at which point he opened it up. Then, he went to go unwind with some colleagues over a game of Call of Duty: Modern Warfare 2. “So we’re sitting there just playing some games,” he said, “and probably like an hour or two later, around seven o’clock or so, I could hear screaming in the elevator.” He took off his headphones and went to investigate. Thanks to reader Ren Bostelaar for the tip. 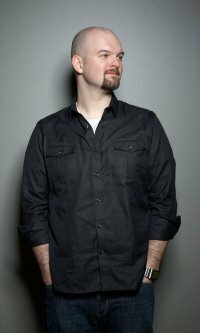 Photo of Jeremy Bell courtesy of his own online bio.